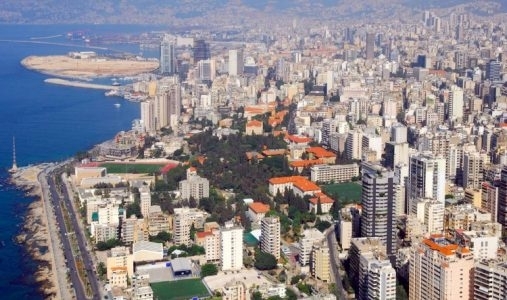 Beirut is developing as a powerhouse for startups in the Middle East. The entrepreneurial culture, an increasing number of incubators and accelerators, access to growth funding and gradually favourable government policy are fuelling the rise of the startup ecosystem. Add in the Lebanon’s Central Bank’s circular 331, which freed up USD 450 million in funding to help boost the knowledge economy in Lebanon, and entrepreneurs in Lebanon are flourishing. The costly infrastructure, limited internet speed and troubles in neighbouring Syria and Israel mean it’s not all plain sailing, but for entrepreneurs in Lebanon these factors are nothing more than another challenge to overcome on the path of starting up. At the forefront of the movement is the UK Lebanon Tech Hub – an international initiative supporting the growth and development of the entrepreneurship and SME landscape in Lebanon. One component of the initiative is the International Accelerator; the first accelerator from the region with a global footprint. 45 Lebanese companies with high growth potential are selected to join the first phase in Lebanon. Out of these, 15 startups have been selected to go global and will take part in the second phase based in London. Take e-commerce, gamify it and you get SLIDR. The promise to shoppers is that the price they unveil on an item will always be lower than that on the high street, but just how much lower depends. This is a startup changing the whole shopping experience, providing a fun and smart way to shop online. Consumers will come to SLIDR to buy the latest in-demand aspirational items and services that have just hit the shelves – handbags, electronics, experiences etc. They are assured it will be cheaper than they would find from a retailer – it could be 5% or it could be 70% – but they will have to pay £1 to ‘Slide’ and find out the price. The paid slider function as a crowd-subsizing mechanism, whereby the more slides on an item, the lower the price. However, it’s not a straightforward equation; the price does not decrease in set increments with each slide but instead by a way of a unique proprietary algorithm. This makes it impossible to ‘cheat’ the system by predicting the price and amps ip the gamification that appeals to customers in search of the best price. There has been some controversy over the daily deals business model – most notably down to Groupon’s spectacular decline. By putting every effort into customer acquisition and neglecting retention Groupon failed to build a sustainable business. Many competitors quickly entered the market with identical business models. Since Groupon failed to capture any value they were unable to differentiate themselves from new entrants and started to lose market share rapidly. The business models are quite diverse; nonetheless acknowledging these difficulties of the generation of website with lower prices than retail that preceded them only serves to empower SLIDR. For starters, SLIDR will provide suppliers and retail partners with a new innovative distribution channel with brand exposure and access to new clients. They will provide suppliers with a better knowledge of their customer base through a unique customer behaviour analysis powered by the algorithm and periodic reports, which should encourage retention and repeat purchases for the suppliers and retail partners. Furthermore, the SLIDR business model focuses on the latest aspirational products and experiences making it different from deal websites such as Groupon. The revenue model is derived from suppliers’ wholesale discounts, but mainly from the slides themselves. Regardless of existing daily deals companies, both the gamification factor and exclusively luxury stock set SLIDR miles apart. Founders Marwan and Fouad have decided to launch in the UK first. The product appeal for deal seekers, product hunters, gamers and risk takers mixed with the UK’s betting culture definitely makes it a good place to start. Beyond this, there is scope for e-commerce websites to integrate the SLIDR feature onto their own platforms; so keep an eye out for crowd-subsidized deals everywhere very soon! Skoolee is a tool for productivity. The mobile app and dashboard act as a social platform for teenage students to map their journey through school, highlighting their academic achievements and extracurricular activities. It opens up an unprecedented world of career guidance, clubs, opportunities and interests, all in one place! Skoolee co-founder Dr. Tony Feghali comes from a teaching background and has moved into a combined educator/entrepreneur role. He recognised a need for teenagers to have a platform where they can present their academic achievements in a formal manner. Aimed at 13-18 year olds the app is designed to emulate existing social networks such as Facebook and Instagram – albeit a more formal version – showcasing a teenager’s academic and extracurricular sides rather than pure social side. They can exhibit their school experience in a way they would want prospective teachers, universities or employers to see prior to the application process. Of course, professional networks do exist, the obvious one being LinkedIn who recently decreased their minimum joining age from 18 to just 14 years old. The value for LinkedIn is huge – they can tack career journey starting from school and predict future careers all the while increasing their ever-expanding talent pool. They are introducing features – such as University Pages – to encourage students to use the platform to research and interact with different schools. However, the culture of careerism doesn’t cater to the needs of teens. Firstly, teenagers are “interesting” creatures and they like to be together, doing exactly what their peers are doing. They want to be out of the watchful eye of adults and certainly don’t want to be sharing a social platform with them. Just look at facebook – more Than 11 million young people have fled Facebook since 2011 – a likely result of adults and parents moving in, posting inspirational quotes and commenting on their kids photos! Insead the younger generations have moved to mobile apps such as Whatsapp and Instagram where they can chat and share privately. College admissions departments are certainly using social media to get to know students better, yet Facebook and Twitter aren’t most suitable to them due to their social nature and LinkedIn is still too career focused. Therefore, there is a space to genuinely improve the college admissions experience for students. Skoolee provides a way for students to invite somebody from a school to look at their digital brand, showing their achievements to date. The platform differs from LinkedIn in that it focuses schooling as a theme. Through and through it is designed to support the student by helping them consider their future opportunities. Skoolee is an opportunity for academic institutions to further modernise. The platform facilitates a global community of schools, universities, students, teachers and clubs. It will ensure teachers have the tools necessary to inform students about all the options available to them, leading to a wider breadth of university options and richer career advice. There is a need for schools to help students navigate through the labyrinth of both university and job applications, and Skoolee is a tool which can greatly help in doing so. Born out of the founders own frustration with daily allergies, Sensio AIR by White sur White provides a new way to manage and avoid allergies. The idea is to allow users to monitor the air quality in their home based on the detection of harmful gases and particles which cause irritation; or even illness. AIR therefore has the potential to provide a 24/7 solution to allergies – think dust, pollen, mold, acetone and carbon monoxide – simply by pushing data directly into a mobile device. Over the past 20 years, there has been a rise in allergies and no-one really knows why. In Europe, more than 150 million people suffer from allergies. In the UK alone, 12 million people are having allergic reactions to their own homes due to environmental factors such as pollen, pets and moulds. There is a common misconception that this comes down to cleaner, more ‘sterile’ homes. In reality though, this isn’t true – research suggests that exposure to germs is only one possible reason for this and diet, lack of exercise, our environment, use of antibiotics and a family history of allergies may play a bigger role. Allergies can’t be cured outright, so it is important for sufferers to understand more about their triggers and how to manage their environment, and AIR provides a means to do so. What makes the product particularly interesting is the power it has to aid the health sector. Providing specific and accurate information on environmental factors which are impacting a patient’s health means bespoke solutions rather than a one size fits all approach; which is often the case with allergies. Many allergy medications are ineffective and still leave patients feeling drowsy. However, AIR can be considered a prevention strategy with no side effects. Alternative products do exist in the market, but in comparison these are rather primitive and far less comprehensive. The device part of AIR works is by detecting matter (including dust mites, mold spores, pollen…) as well as taking into consideration physical parameters that affect air quality such as temperature, humidity and daylight exposure. It compiles, stores and tracks this data over time. Via an app AIR provides an intelligent evaluation and possible actions which can be taken to reduce allergens and reach optimum air quality. The air quality of a home is constantly changing depending on season, weather, pollution etc. but Sensio has the ability to measure and alert in real time when air levels are close to hitting critical values. There is potential to apply the same technology to water quality and radiation levels in the future – an exciting prospect considering the situation with radiation in Japan at present. If Sensio was to be successful in such advancements it could play a huge role in the management and prevention of these areas, a huge achievement!